“It takes tremendous energy to keep functioning while carrying the memory of terror, and the shame of utter weakness and vulnerability,” (2). And when our energy is focused on suppressing or ignoring our deep seated fears and unresolved emotions….we don’t have much energy left for, well, anything else. This is when depression, anxiety, and other mental health problems set in. So how do we fix ourselves? How do we begin to pick up the shattered pieces of ourselves? It all starts with understanding trauma. Because identifying what happened to you, and working through it with a trained therapist is essential to your healing. See…meditation, yoga, and all that other mental health boosting stuff is great! But only to the extent that you are comfortable in your own skin. Otherwise you might suffer injuries (from unbalanced energy) during exercise, or perhaps you’ll pick up mindfulness for a few days and then revert right back to your normal anxiety…because the mind cannot go certain places. You’re trapped in your own body…but you don’t have to be. 1. About Van Der Kolk’s experiences working with Army Veterans. 3. How trauma works in the brain. 4. 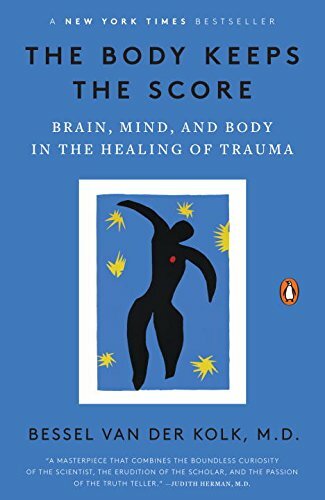 How the body reacts to trauma. 5. Attachment issues in childhood. 6. About relationship abuse and neglect. 7. About how a traumatized child’s brain forms. 8. How to safely remember past traumas. 9. How to heal from trauma. 1. The trauma I suffered was not my fault. 2. About how my parents neglect affected me. 3. How to free myself from this trauma. 4. How many other people suffer from trauma (this one made my traumas feel less scary). I hope that this book can serve you as it has served me. I am so happy that I found this book, and although it was difficult to read it, and I was very sad, scared, or angry in many parts of reading the book….afterward I felt a stronger sense of self. I understood myself better and was finally able to free myself from DECADES of FEELING NUMB. Understanding trauma is your first step to recovery. And the most important one. Find a trauma trained therapist here! Meet Bessel Van Der Kolk….CLICK HERE.